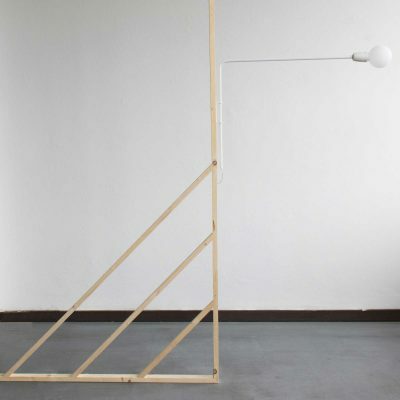 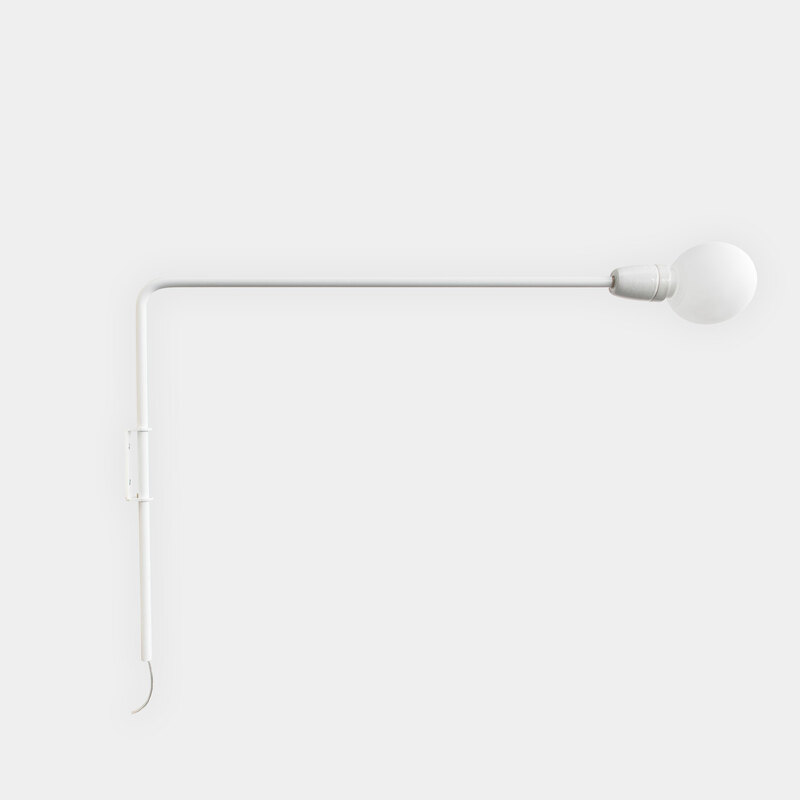 The lamp is reduced to a simple expression : the stem is a humble L shape. 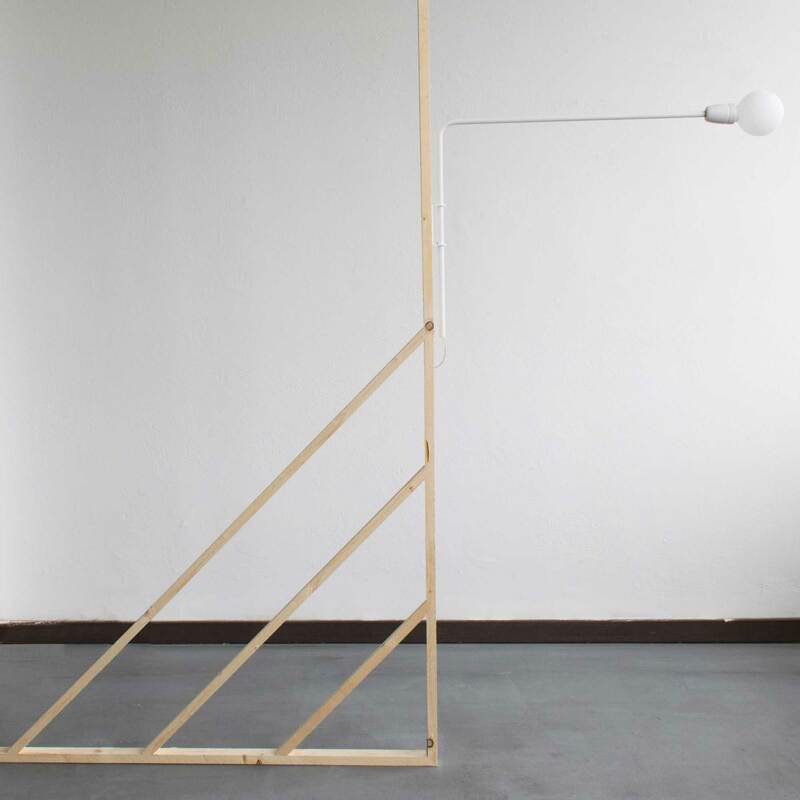 Smaller living spaces mean less and less available horizontal surface, the lamp makes use of verticals, leaving space to breathe. 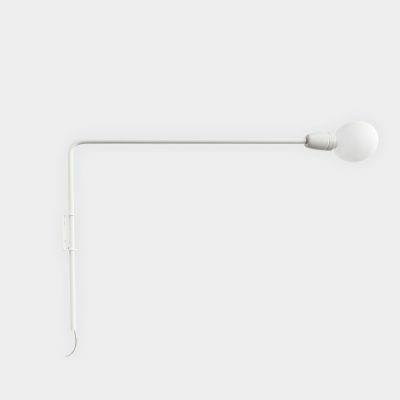 This idea is a common motif in the Untitled Story collection, that of making life easier and more comfortable in our urban world. 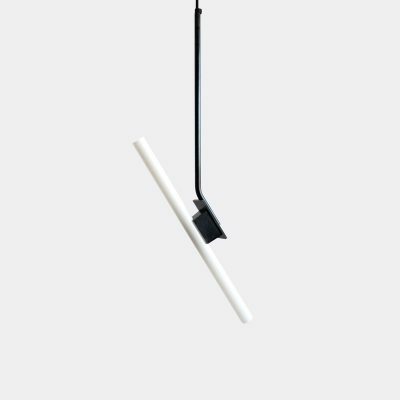 The Untitled Light has been designed to feel familiar and timeless yet remains contemporary through its colour palette and finish. 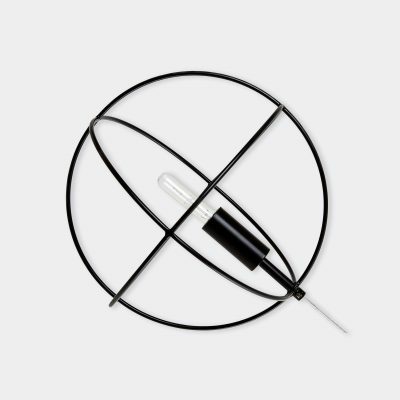 Each part of the lamp uses elements of pure geometry: a square for the base, a cylinder for the lamp holder and a sphere for the bulb. These shapes are assembled akin to a construction game with the resulting design feeling both humble and natural. 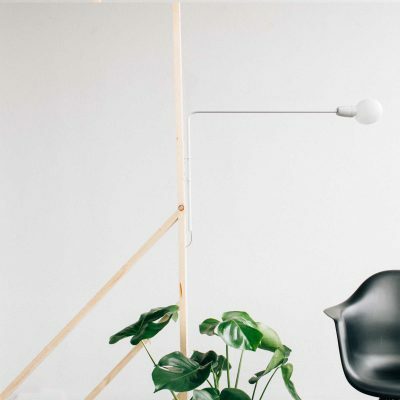 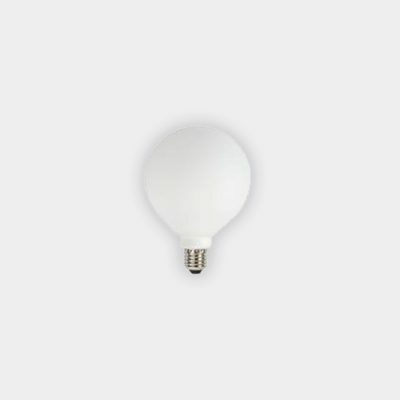 The light is made from sturdy steel, making the object weighty and durable, such use of material enhances the objects visual and tactile aspects.